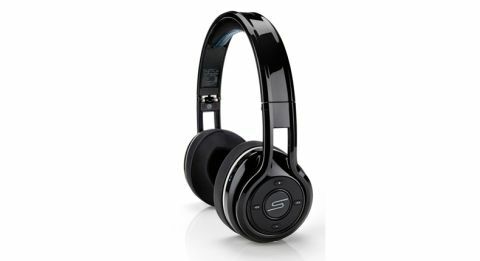 SMS Audio Sync by 50 cent review | What Hi-Fi? Out of the box, you’re immediately wondering where your money has gone. Build quality is bettered by on-ears costing half as much. The plastics used feel ridiculously cheap by the standards set by rival products. Overall, they’re flimsy and lightweight (and not in a good way). The D-pad-style controls on the right earcup are functional enough, but even they make a nasty click when pressed. A quick inspection of the earpads reveals there’s not much substance and they seem to lack real cushioning. Combine this with an overly tight fit, and we find these fairly uncomfortable. Rivals at the money are much more flexible and versatile. It’s fair to say the Syncs don’t make a great first impression. You won’t be surprised to hear the Syncs focus a lot of their attention on bass. Delivery is muscular and powerful and there’s a sense of aggression, which lends itself well to hard-hitting tunes like 50 Cent’s own In Da Club and dance tunes such as Insomnia by Faithless. Both tracks sound punchy and invigorating. But at the same time, there’s also an unwelcome edge to the presentation, which spoils your enjoyment. Subtlety and finesse are in short supply. Tracks, such as Lily Allen’s Somewhere Only We Know are sucked of emotion and you don’t feel yourself engaging with the music in the same way do when listening through the Bose or Philips equivalents. Nuances are overlooked and the Sync’s one-dimensional approach just dominates – there isn’t enough room for the different elements of the track to breathe and the arrangement doesn’t sound as graceful and elegant as it should. Like the House of Marley Liberate XLBTs, the Sync by 50 Cent suffers from quite a few musical deficiencies. There’s little satisfaction to be had by spending this kind of money on headphones that struggle to deliver.